Addictions, habits and psychological dependencies can all be our body’s way of trying to adapt to the challenges that life brings. They are also sometimes our body’s way of trying to help us, although it may not seem like it to us! Frances has many techniques she can show you to improve your unwanted behaviours, and EFT and hypnotherapy can help free you of your unnecessary habits. 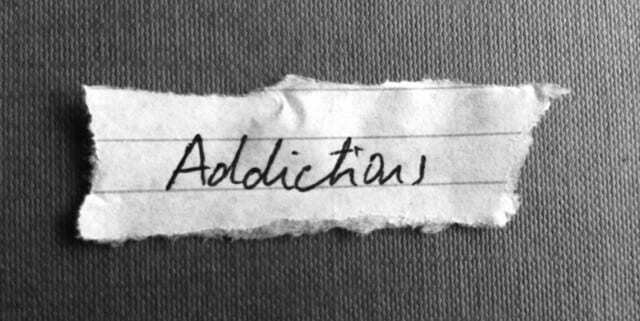 An addiction is a physiological need for a substance and can become obsessive, uncontrollable and often damaging. There are records of a huge variety of addictions and psychological dependencies across the world, from substance abuse to eating inedible objects such as glass and sofa foam. 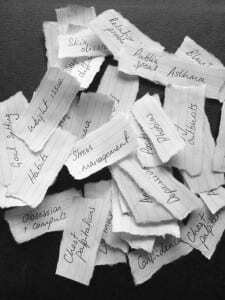 More common types of psychological dependencies include alcoholism, smoking, drugs, gambling and Internet ‘addiction’. Habitual behaviour is a natural part of our lives and includes everything from changing gears as you drive, to tucking your hair behind your ear. Of course, some habits can be bad. We commonly refer to things like forgetting to wash up, or biting our nails as ‘bad habits’. These bad habits can be broken because they are, more often than not, unconscious or passive actions. Once we get a conscious handle on them, we can stop them. Psychological dependencies on the other hand, are subconscious and impulsive responses that can become very difficult to control. becomes increasingly difficult to control. Genetics – researchers found that people whose parents had an addiction to alcohol had a ten-fold chance of having an addiction themselves, compared to people whose parents did not have an addiction to alcohol, 1, although this is behaviour could be due to following the influence and example of parents. Background – experts have found that people with troubled backgrounds that involved neglect or abuse are more likely to become addicted later on in life2. Personality – experts believe that people who are generally anxious and nervous in their approach to daily life are more likely to develop addictive behaviour1. Certain behavioural traits can cause us to form addictions because they can make us more likely to try addictive substances in the first place. Addictive substances are thought to affect our brains by releasing or triggering certain substances. Dopamine – some substances trigger the creation of the hormone dopamine, which causes a feeling of satisfaction. This rush of pleasure can make us want to experience it again. Endorphins – scientists believe endorphins (a type of hormone) may play an important role in the development of cravings. These activities all have one thing in common- they trigger the release of the hormone dopamine, which causes a rush of pleasure, or a ‘buzz’. Addicts repeat this process again and again because they become dependent on that ‘buzz’. 1. First try – some people are more likely to try something than others. For instance, a bored teenager with a troubled background may be more vulnerable to the temptation of illegal drugs than, say, a teacher. 2. Try again – some people try a substance once and never touch it again. Others, however, enjoy the feeling so much that they actively seek it out again, or, more commonly, are influenced by peer pressure, the media and ‘myths’ surrounding the activity. 3. Increased dosage – the body can build up a tolerance to the effects of dopamine in the brain, so the user may increase their dosage of the substance or activity. 4. Dependence – the user finds they can no longer function normally or happily without the substance. pupils smaller or larger than usual. Doing or taking anything in excess can be damaging to the body. Some addictions can be more physically damaging than others. All addictions can have a psychological effect on the addict, as well as friends, families and colleagues. Extreme or long-term addictions can be fatal. Internet Addiction – malnutrition, repetitive strain injury, headaches, dehydration, weight gain or loss. Find out more about the effects of Internet addiction. Alcohol Abuse – liver and kidney failure, slurred speech, impaired cognitive functioning, bad skin, headaches. Find out more about the effects of alcohol addiction. Smoking – lung cancer, throat cancer, respiratory problems, reduced fitness, bad skin. Find out more about the effects of cigarette addiction. Eating Disorders – weight gain, heart disease, heart attack, diabetes, organ failure. Find out more about the effects of food addictions under ‘binge-eating disorders’. Drug Abuse – heart failure, psychological illness, liver and kidney failure. Find out more about the effects of drug addiction. How does hypnotherapy for addiction and physiological dependancies work? Hypnotherapy aims to get to the route of the dependence by inducing a state of heightened awareness in the patient. In this relaxed and open state, the patient becomes more susceptible to suggestion, which the hypnotherapist can take advantage of by talking over different ideas about the substance or activity the patient is dependent upon. A hypnotherapist will attempt to help the patient gain control over their addiction while providing the support and guidance required to alter ingrained behavioural patterns.